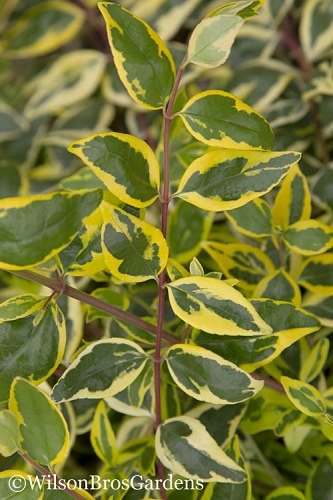 Gold Mound Spirea sports the most stunning, bright-gold foliage of any shrub we've seen. The fuzzy, pink, butterfly-attracting flower clusters poduced in abundance during the summer and the bright orange foliage in fall are extra-added bonuses! 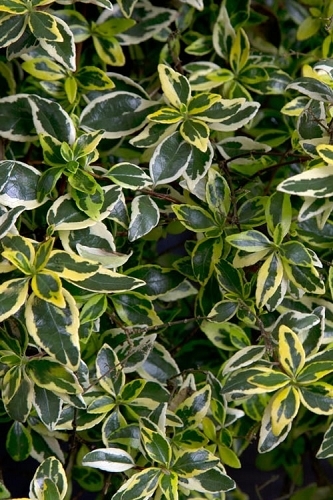 Creates dense mounds of foliage to 2 to 3 feet in height and 3-4 feet wide. 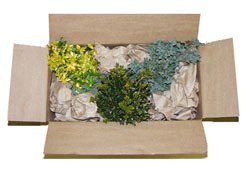 The bright and soft-textured foliage combines nicley with plants nearby, particularly those with deep green, blue, burgundy, red or purple foliage. 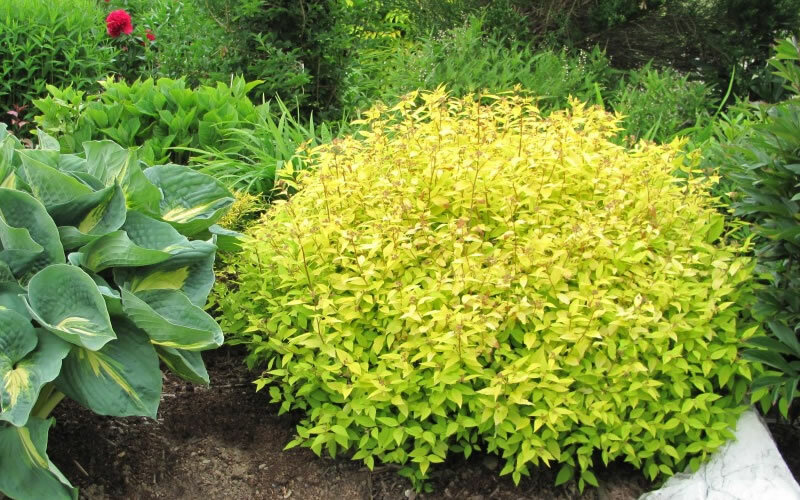 Growing in a low mound 3-4 feet tall and wide, Gold Mound Spirea is a dwarf that fits nicely in small garden spaces. In larger landscape borders its brilliant foliage and flowers make for stunning groupings or mass plantings. 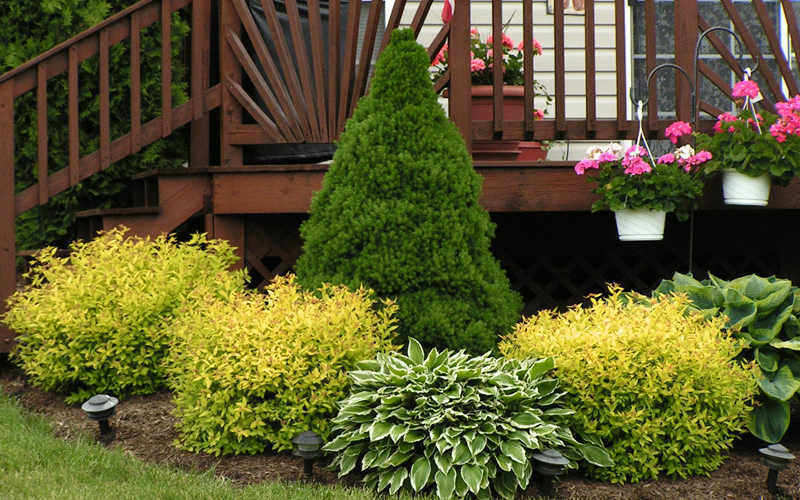 Also nice as a front facing plant to taller evergreens in home foundation plantings. Can be massed on sunny slopes for erosion control. 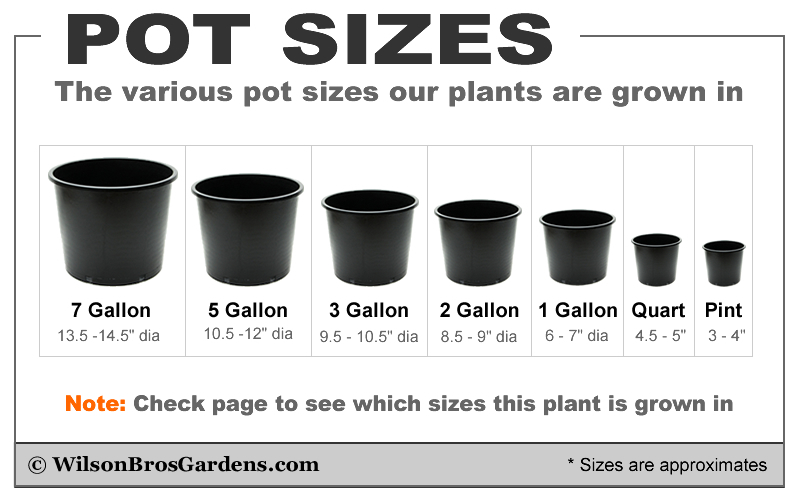 A fine addition to butterfly gardens and container gardens. 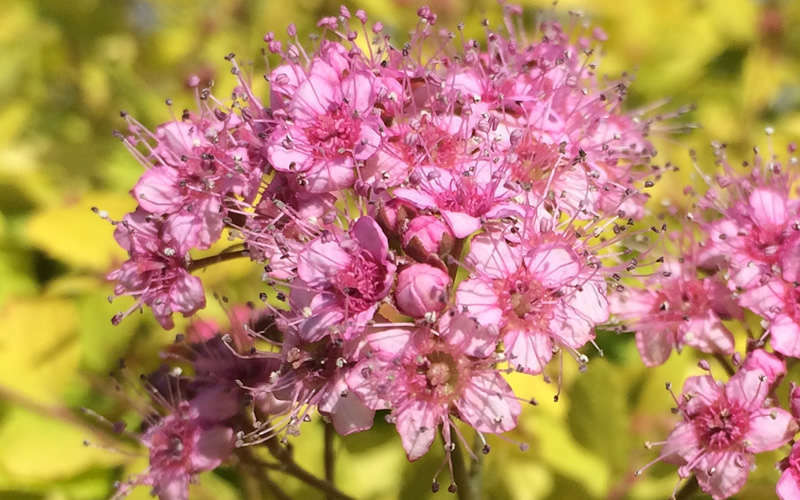 Japanese Spirea are very easy to grow in a wide range of soils. They prefer growing in a moist but well-drained soil of average fertility. 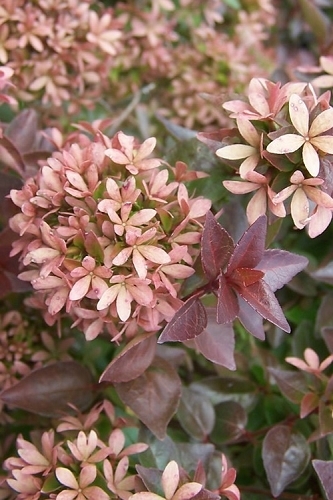 For the best foliage color we suggest full to mostly sun, however plants will tolerate part to mostly shade. A light shearing of spent flowers after the summer bloom encourages heavier rebloom. Flowers on new wood, so prune in late winter to early spring if desired. 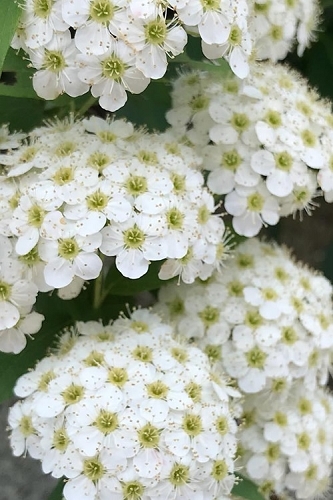 Click on the link below to find helpful advice from our experts on how to plant and care for Japanese Spirea shrubs. Q: Will the gold mound lose all its leaves in the fall/winter or experience partial loss? 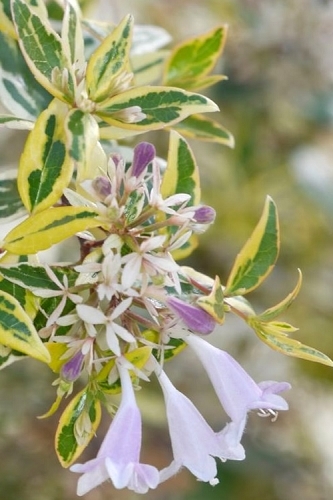 I am considering this plant as a specimen in a bed in a coastal mid-Gulf Florida landscape. 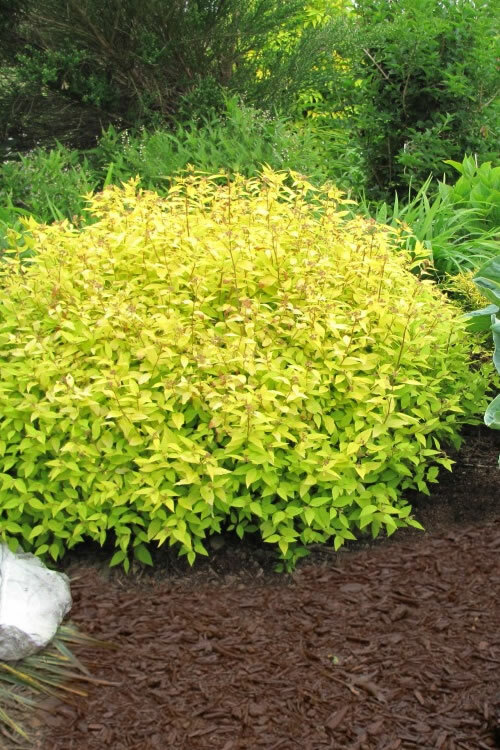 A: The Gold Mound Spirea will grow in Florida up to USDA zone 9b. Zone 9b starts Just north of Tampa. North of 9b this plant will likely lose most to all of its leaves in Winter. 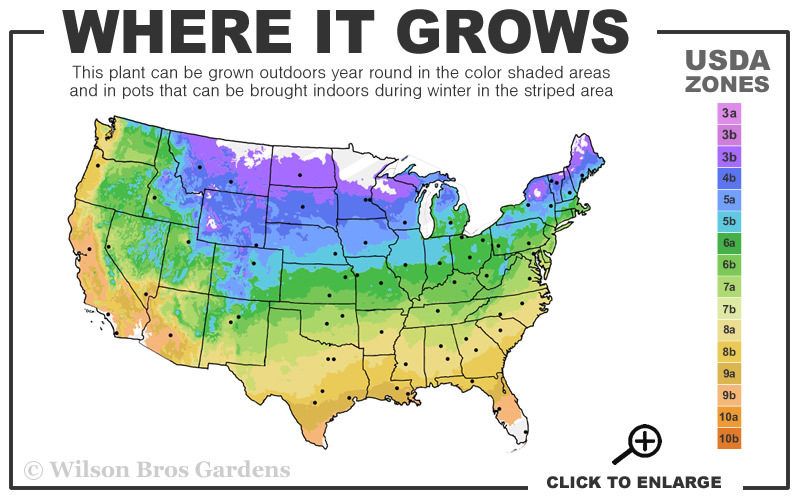 In 9b it will lose some to most depending on how cold the Winter is. 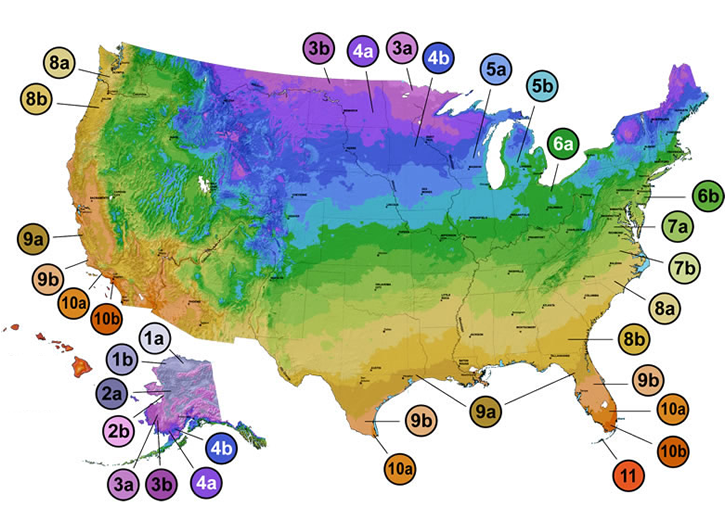 Temperatures at or below 32 degrees will cause it to lose its leaves.